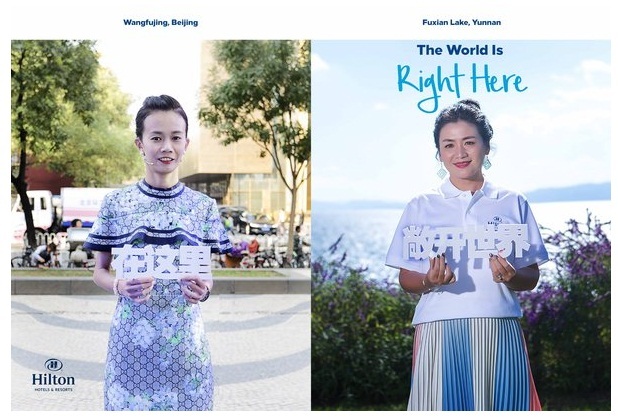 On October 19, Hilton Hotels & Resorts, the flagship brand of Hilton, brought to life the brand’s tagline of “The World is Right Here” through a synchronised event at properties in Beijing’s Wangfujing and Yunnan’s Fuxian Lake. The event, which was made possible with Telepresence technology, allowed guests to view life-sized images of participants at the respective destinations, interact with each other through a customized digital interface, and take photos together. Designed to inspire Chinese travelers to discover the world through the brand’s global footprint of more than 575 hotels in 79 countries and regions across six continents, Hilton Hotels & Resorts unlocked exceptional experiences for its guests.